This episode was recorded with lavalier microphones worn on our lapels at SyncLab Media Studios in Dallas, which was both amazing and left me wishing the sound was a better. To help make sure nothing is missed, I took the time to transcribe everything form out 20 minute interview below. There’s also a video (it is a video studio after all) of the interview with bonus footage and some extras, but it is reserved for the members of The Gentleman’s Inner Circle. If you’re looking to take your personal development as a man to the next level, I highly recommend you join me today. For a very limited time, membership is significantly discounted. Join today! 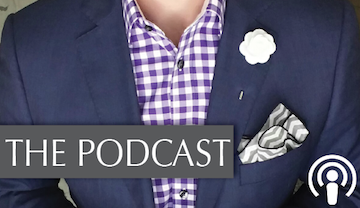 Blake Hammerton: Thank you and welcome to the Sharp Gentleman podcast! It is live, it is amazing, and there are two things you need to know: 1 – I have a cold, so I sound very low and kind of sultry; and 2 – I’m joined by my friend John Lymberopolous. He’s the General Manager of Q Clothier here in Dallas, and is the creator of The Gentleman Warrior. It’s one of the most important things that I feel connected to because of what it is, what he stands for, and what he’s trying to accomplish. And that’s why we’re here today. Beside being the GM for Q and the Gentleman Warrior, he brings with him the experience of being a keynote speaker and executive coach. When he works with guys, he’s helping them reinvent themselves, improve their image, and get focused on more success as they begin to carve out a new path in life. So thank you so much for joining me John, it’s amazing to have you here. I want to get started on a few things right away. First of all, what is The Gentleman Warrior? In your words, where did that come from? John Lymberopolous: Thanks for having me, Blake. 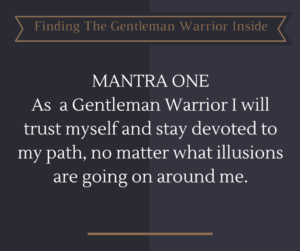 So the Gentleman Warrior is really a concept developed partially through my journey in life, and the ups and downs and challenges that we all go through. It was really bestowed upon me several years ago to come up with this concept to be able to bring guys together to do things better, with more excellence, with more integrity, and with more knowledge. 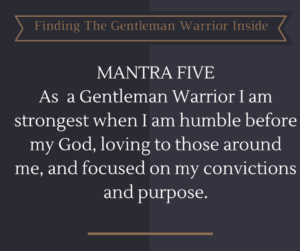 It includes everything from how to run your business, to personal fashion, to dating, to interpersonal relationships – all the things I culminated into nine Gentleman Warrior mantras. These mantras are on each different section, and the idea behind that is that you practice those mantras similar in the way you would practice yoga – it’s part of your journey. It’s about trying to help gentlemen (and ladies) understand that we can do it better. We can do it with more knowledge, we can do it with more grace, and with more integrity. The whole concept is finding the gentleman warrior inside, what every man should know, and what every woman should expect. BH: I love that. 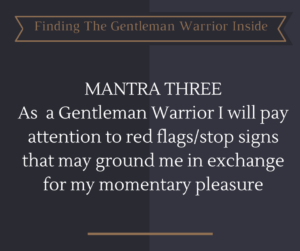 And to me the name Gentleman Warrior almost symbolizes this guy inside who’s fighting his way through expectation and influences from media and everything else – to just get out and be the fullest version of himself. JL: You know, as guys, a lot of us are living our lives as a facade. We use arrogance, we use ego, we use our testosterone to really overcome our insecurities. I was one of those guys for about 20 years. The real direction we want to get to is that of grace, humility, and work from a heart-centered approach. That makes life flow a whole lot easier. Now, you can still be a very successful businessman, a successful father – you can have success in all of those areas, but in a way in which you aren’t doing it through the cloak of arrogance and ego. Sometimes it’s okay to check those things at the door. I often tell guys the greatest show of strength is to show weakness. BH: Yeah, it feels like the vulnerability is such a powerful spot because you have this sort of shameless authenticity. So I can come out you know, guns blazing, come out swinging and being very macho, but that’s nowhere near as proud and manly and authentic as the guy who might be sitting behind me just being quiet and observing and being in control. JL: We’ve gotten away from being men. We’ve become a group, and I’m stereotyping, of emasculated wussies. Guys have three jobs in life: Hunt, Provide, and save the Princess. Maybe not literally, but it is the culmination of climbing the tower and saving the day. Now, we all know what a gentleman is, right? It’s the opening doors, standing up, doing the right things, right? I’m trying to redefine it as being a gentleman is about being real. And being real is sometimes very difficult for people to take. The warrior concept is not the “spear everybody to death” kind of fighting warrior, but rather, the warrior you think of as a knight or a gladiator. It’s somebody who did fight, but did it with honor and integrity and intent to be a whole person. That’s the warrior we’re really trying to get to. BH: That’s excellent. So what was the catalyst to create this for you? JL: The catalyst for me in my own life was really 20-25 years in Corporate America. I got to work with some of the greatest brands out there, and I learned the more arrogant and egotistical I became, the more wildly successful I was. BH: It’s funny how that works, right? I truly believe there are times when you are spoken to. 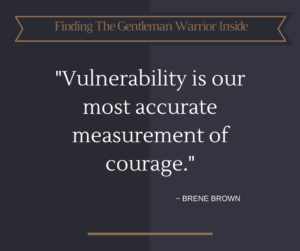 It was the next day when I finally awoke that I heard the words, “go be a Gentleman Warrior.” And I thought, “what is that?” Through the grace of counseling and coaching and wanting learn and have more knowledge, I started to rebuild myself with a heart-centered approach. Now, we’re never ever perfect in this journey so there are times I get into my ego even now. At least now I have the tools to check that at the door and get back to a different way of approaching life. I think that is such a beautiful place to play. What I think is so cool is that we all try to come off as the expert in everything we do. “I’m an expert here, I’m an expert there, I know these things, I know that stuff – just listen to me, I’m so great,” and what’s paramount coming from you now is that you got all these nuggets from your own experience and your own desire to learn more. You had to learn through counseling and coaching and exploring and that is what made you better – what made you more of an expert. It’s what keeps you there is that you continue to keep learning and growing. BH: I totally get that. Even I do that. I get on vacation and I think about how I can make each day count. And I spend so much time trying to make sure each day is a win and each day counts that I miss them all – I miss the good parts. JL: Exactly. That’s just a simple example, but it’s about being on the journey. The reason why I wanted to coin it and brand it The Gentleman Warrior is because it’s going to mean something different to every guy that’s out there. And I will feel success in this venture if I can get somebody to change their thought process for just five minutes. So this isn’t “John’s nine steps of how to be successful or whatever,” it’s actually the nine different mantras that everybody will embrace in a little bit different manner in how they hear them, and hopefully apply them to their life to where they can go to more of a heart-centered, authentic, and real approach to business, life, love, friendships – whatever it may be. BH: Okay, I totally understand the heart-centered approach to relationships and love and everything like that, but let’s explore for a second why you feel a heart centered approach is good for business. JL: Simply put, when I was in Corporate America, when I was that guy, if I can refer to it that way… People had to buy from me, okay? I worked for brands that people had to have, they couldn’t really live without these brands. So there was this sense of entitlement to that. And if you go after getting the deal because you want to get the commission because you want the get the money, I think you’ve got that backwards. I certainly did. If you go out and do the right thing, for your people, for your product, for your customers, everything else will fall into place. So that’s a big part of it from a business stand point. I’m not saying that you don’t try or have drive, or that you’re not motivated or want to excel in your field or in your science, but that you do it in such a way that you aren’t after the almighty dollar, or the spotlight, or the success. Because, when you do the right thing, the success, the contentment, the money – all that stuff will come. That’s why I find it so important to find a way to work your passion. 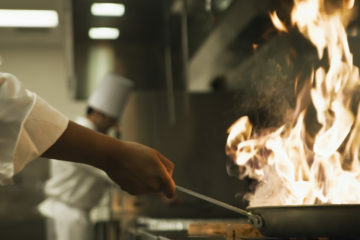 If you can make your passion your profession… Man, I think you’re golden. It makes for a very good deal. BH: Definitely. The piece that I’m hearing there is a message of “buy-in” to what you’re doing. It’s not so much that you’re going to sell this, make that commission, and buy the beach house (or whatever); rather, it’s more a message that you’re going sell these things because it provide value to your customer. It explores the personal buy-in. And it feels like, from a heart-centered place, when you buy into what you’re doing, you’re also buying into the guy you are when you do them. It fills in the places inside your heart that help you feel valued, helps you feel like the hero that can come in and provide – rescue the damsel in distress, right? It allows you to start to fulfill those place and THEN the money will come. I think that’s difficult for a lot of guys (well, people in general) to hear. If you do the right thing, the money will come. We operate from such a place of “lack” where we believe we need the money first, and then we’ll do the right thing. It feels like we need to turn that around. JL: Absolutely. I have the privilege to have landed where I am working my passion as my profession. I’m very fortunate to be where I am at Q Clothier where we’re doing men’s fashion at the pinnacle level of bespoke-custom and stuff like that. But you know what, come into our store. In that scenario, I’m trying too hard to get the commission and get the sale. Where, if instead, you build the relationship and allow things to flow, they’ll come back to you and you’ll get ten fold in return that if you try to jam your agenda and try get a one-call-close kind of thing. No, I’m not professing that you shouldn’t be aggressive in your sales or your product, but you have to know your audience. You have to know what your company is and stands for, and your approach. That’s just part of our culture at Q. Many times, guys will come in and check it out, check around the store, and then take some time to think about it. Great! Let us know when you’re ready. We’re here to help you and aren’t going to chase you down. BH: Yes, and one of the ways that business is changing these days is online. When you’re online, you don’t have to talk to a salesperson. 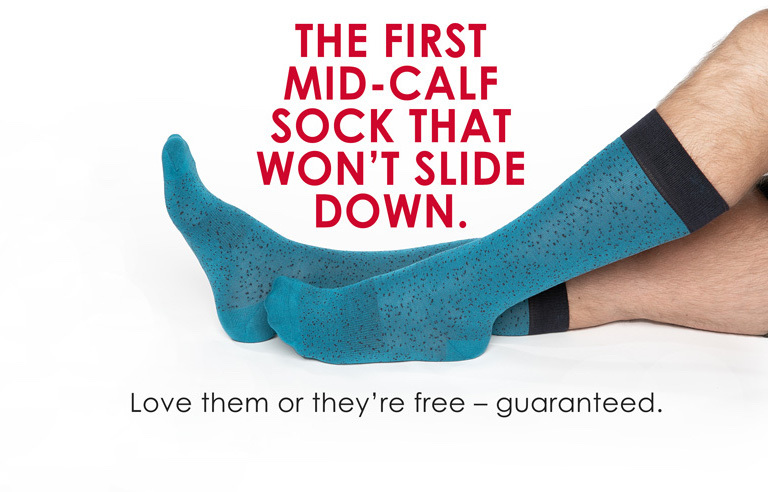 I can go online, choose my size and color, and click submit. 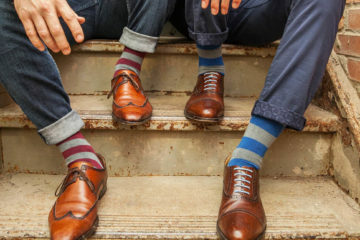 Now, one of the ways regular retailers can be successful is through creating partnerships. So out of the nine mantras, what would you say are maybe three that all guys could really benefit from or find pivotal in their success? JL: The first one would be to Never let your short-term benefits overwhelm your long-term opportunities. The crux of it is to not let your short-term distractions affect what you long-term outcome could be. Very minimally put: Focus. Focus on what’s important to you in your life, in your love, family, friendships, and stay focused to them. Now, as we all fall off (as we all do), be kind to yourself and back up onto that horse. The second would be to use your resources –financial is what this really is about– to the best of your ability. 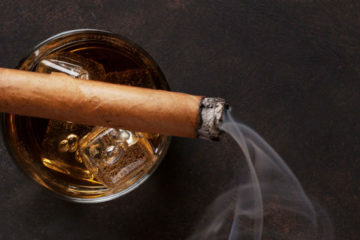 Now, I’m not saying you can’t go get a fancy car or have nice things, I know we both have champaign tastes, but there’s a difference between accumulating materialistic things and getting something because you absolutely love it. Look, there’s nothing wrong with getting a Ferrari. If you get that car because it’s something you’ve dreamed about and you love driving it and thinking about it, that’s totally fine. Versus, getting that Ferrari so you can drive down the street waving at everyone to say, “here’s what I’ve got,” you can see this is a different approach. If you give as much as you can in a relationship, you’ll get back 10-fold –a hundred-fold– in satisfaction and opportunities, than if you go into it trying to jam in your own agenda. This is especially true in a dating or marriage relationship. You have to serve your mate. You really do. BH: Exactly. And you know, when you put all these three pieces together, and you’re focused, you know why you’re doing what you do, and you are truly being a servant, you’re actually providing more value to people just by shining in your authenticity. JL: Blake, yes, that’s a great way to put it. And it’s not easy. It’s something that I have to get up and focus on every day. Some days I get up and fail miserably. Other days I think I’m doing okay. So that’s my message to guys and even women as well: it’s okay to fail, but have a path you’re trying to get to or back onto to be more real and more authentic. Like I said before, sometimes the greatest show of strength is to show weakness. BH: And it feels like the strength comes in being aware and being able to declare that vulnerability. “Hey’ I totally failed today – it was not my best day.” To be able to say that to someone is a pretty powerful thing. It’s not even about the failure, it’s about being aware that this was a bad day, and I’m not a failure, but this day totally failed. I love that! 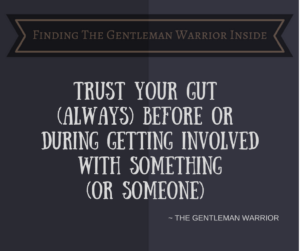 So where do we go to learn more about you and the Gentleman Warrior, including what steps we need to take to start making that change in our lives? JL: You can certainly find us online and on our Facebook Page. I also do a lot of speaking engagements. I speak to non-profit organizations gratis, and I’ve also developed programs and presentations to corporations and larger audiences. The book is also underway. 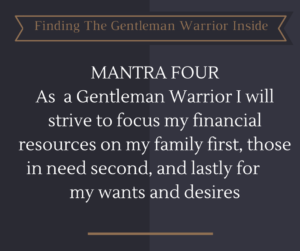 The Gentleman Warrior Inside: What Every Man Should Know and What Every Woman Should Expect is slated to be out later this year. It’s one of the most rewarding and challenging things in life – trying to write a book! It’s challenging because I’m not an author and I’m not a writer either. Hopefully that will come out and I would like for that to be an opportunity for people to take a peek and decide whether they want to change their thoughts for five minutes, or begin the journey of practicing it for good. BH: I love the idea of it being just for five minutes. Just five minutes. Everyone’s got five minutes. Even executives that say you’ve only got five minutes can benefit. It’s good for everyone. And finally, for those that are listening to this episode or reading the notes here, John is actually going to be one of the advisors and coaches in The Gentleman’s Inner Circle. If you’re ready to take your life and learning to the next level with me, John, and a select group of experts across a myriad of industries and experiences, you want to join us in the Inner Circle. John, thank you so much for joining me today. I can’t wait to see what the future holds for us both! 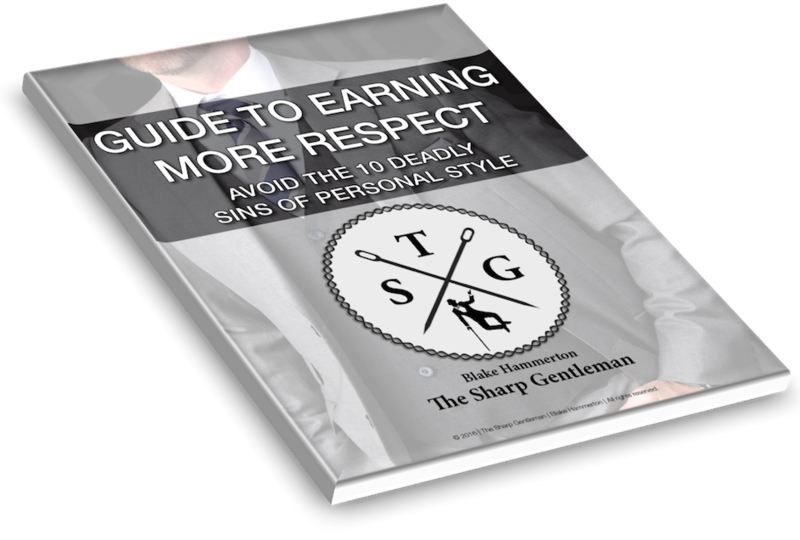 Make sure you check out Bespoke Advisors and The Gentleman Warrior! And, if you’re in DFW, leave a comment below so we can connect! 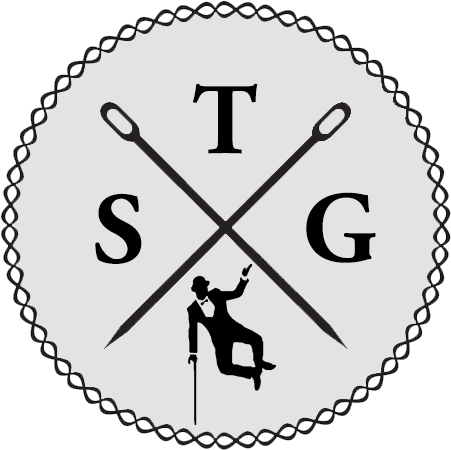 This PRIVATE coaching group gives you all the tips, tricks, and insights you need to take your confidence, style, and communication to the next level so you can become the man you were born to be. You get exercises, live coaching calls, video courses, and all the materials I normally reserve for my personal tribe. The Inner Circle just launched and is available at 75% OFF for limited time! !